In her book, Roberts discusses the co-creation process, including how she says events and things are manifested. She encourages readers to keep an open mind so they can learn and transform their lives. 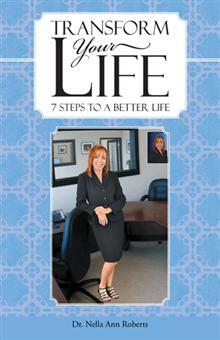 “Transform Your Life: 7 Steps to a Better Life” is available for sale at Standard Bookstore (Grenville Street, St. George’s), Art & Soul Bookstore (Spiceland Mall, Grand Anse), and can also be obtained by calling 404-1769. The book can also be purchased online from booksellers such as Amazon.com, Barnes & Noble, and Waterstones. 10% of the author’s royalties will be used to help the less fortunate. The author invites readers to learn more.